Littlest Pet Shop fans can wear their pets and show them off in style. Each surprise bag contains a Teensie-scale pet with and a cozy habitat that snaps onto a clip with a themed charm – talk about a fun accessory! Habitats feature a hook and flat base, making them compatible with select Littlest Pet Shop playsets (each sold separately.) Ages 4 and up. 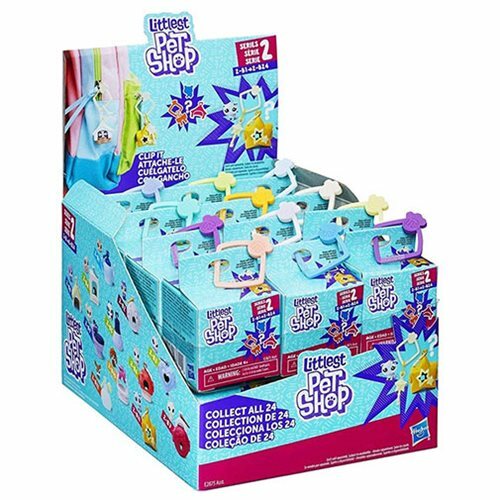 Littlest Pet Shop Blind Bag Pets Wave 2 Case includes 24 randomly packaged figures.